Facial recognition is all the rage, and the recent report from Research and Markets is the proof. In 2017 alone, the worldwide face recognition market was valued at $3.85 billion, and this number is expected to balloon to a staggering $9.78 billion by 2023. Being continuously thrust into the media spotlight, facial matching promises never-before-possible efficiencies to an array of businesses. In this article, we’ll analyze the advantages of this tech and gauge its growing impact on such industries as education, banking, and retail. With face-matching technology penetrating education, it’s becoming more and more difficult for students to skip their lessons with impunity. Here is a real-world example. Shen Hao, a professor at Communication University of China, uses facial recognition to track the attendance of over 300 students. A computer vision enabled system installed on the professor’s tablet takes students’ photos and matches them with those in the university’s database. “The traditional way of tracking attendance is through a roll call. The new facial recognition system saves time and reduces the workload of teachers,” Shen admits. And 100 percent attendance is a sign that such an innovative approach rules. Tracking student attendance is not the only application for face detection in educational institutions. Underpinned by AI, this tech is also earmarked to improve academic performance. For instance, the Paris School of Business applies face recognition to track how well students are paying attention during remote lessons. The school’s Nestor software captures students’ eye movement and facial expressions, analyzes that data, and alerts learners when they start lacking attentiveness. Universities could also use facial recognition to put an end to exam cheating. How? With the help of online proctoring platforms that leverage machine learning and face detection tech to spot suspicious behavior during exams. Light and audio level changes, head movements, or window resize — any of these events could be reason enough to assign penalty points that are then analyzed and responded to by proctors. Identity theft has always been a top-of-mind challenge for financial institutions, and for a reason. LifeLock revealed that in 2017, the number of individuals impacted by identity fraud surpassed 16.5 million — with $16.8 billion of the total amount stolen. And these stats are another nail in the coffin of traditional logins and passwords. According to some experts, face detection technology might be a way out. To wit, HSBC partnered with FacePhi to let its customers dispense with passwords. Now, the bank’s clients can access their accounts on mobile by authenticating themselves with a selfie. HSBC is not alone in implementing facial recognition technology to secure their customers’ financial data. MasterCard launched Identity Check Mobile, a new payment app allowing cardholders to use selfie biometrics to make a purchase. Available in the European and US markets, the solution simplifies online shopping while providing better security. Retail is another industry where facial recognition is set to become a game changer. Amazon and a number of Chinese companies are significantly improving the shopping experience by allowing their customers to pay “with a face.” Other retailers are actively using face detection tech for marketing purposes. Hop is a self-service beer kiosk that employs facial recognition to identify users and let those of age purchase beer. It’s not just facial matching — the solution’s founders married IoT and machine learning to provide beer lovers with a unique experience. What does the whole process look like? First-time clients have to share their personal data: scan the legal ID, swipe the credit card, and take a couple of reference pictures. Next time they decide to buy beer, Hop will scan the user’s face, match it with that in the database, and pour the needed amount of beer — in a split second. As a result, thirsty shoppers enjoy a seamless beer-buying process, and the vendor eliminates waste, as customers are charged by the ounce poured. Another beer brand, Astra, implements facial recognition to target women. Their digital billboard, installed near the Zum Silbersack pub in Hamburg, uses a built-in camera and gender-detection technology to decide on the optimal ad featuring Uke Bosse, a German comedian. Women are advised to buy Astra; conversely, men and anyone under 16 are told to move along. That is how Astra makes women understand their purchasing power is important. And by marketing beer for females, the brand intends to expand its client base. Data privacy. Any solution powered by facial recognition will have to collect a large amount of customer data. To avoid sensitive information leaks, invest heavily in security and comply with relevant privacy rules, including GDPR. Error and bias. Let’s admit it: face detection tech is prone to error, and there will be no surprise if Astra’s billboard gets somebody’s gender wrong. Moreover, researchers express growing concern about AI-empowered technologies’ bias. To mitigate risks, remember to feed your algorithms with as much data as possible. Until recently, facial recognition has been complex and out of reach for most industries. But software companies have done the heavy lifting to make this tech cost-effective, reliable, and affordable for a range of businesses. 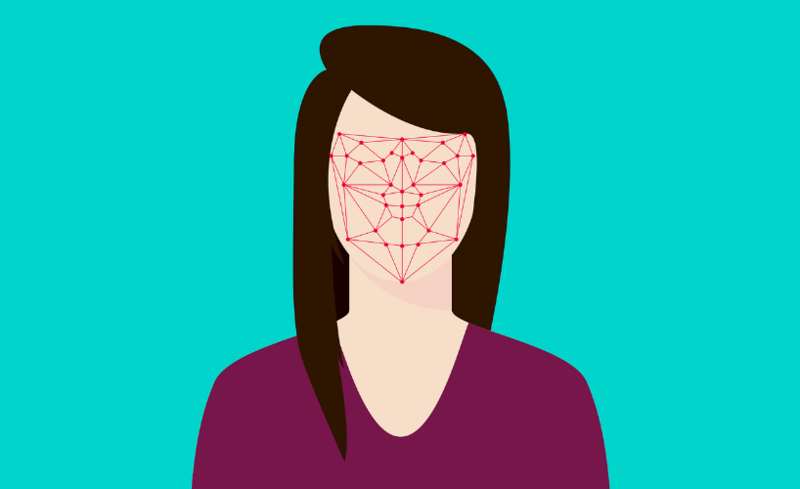 Being a proven tool for tracking academic performance, detecting fraud, and targeting customers, facial matching continues extending its applications. Just keep an eye on this technology as it evolves and timely address the possible challenges.